HIV and AIDS represent the leading cause of death among young people in Kenya, with young women most at risk. UNAIDS estimates that between 1.3 to 1.5 million people in Kenya live with HIV, which accounts for around 5% of the population. Although transmission rates seem to be slowing, UNAIDS disclose that only 51% of people have access to crucial anti-retro viral therapy. The stigma experienced by people living with HIV and AIDS is far-reaching. At a community level, shame and fear deter people from testing, while on a personal level, discrimination can damage mental health, relationships, family networks and prevent entry to school or the formal workforce. In 2009, the Kenyan government introduced measures to combat formal discrimination. Business however, can seek to end the stigma associated with HIV and AIDS by demonstrating the resilience and capabilities of employees. 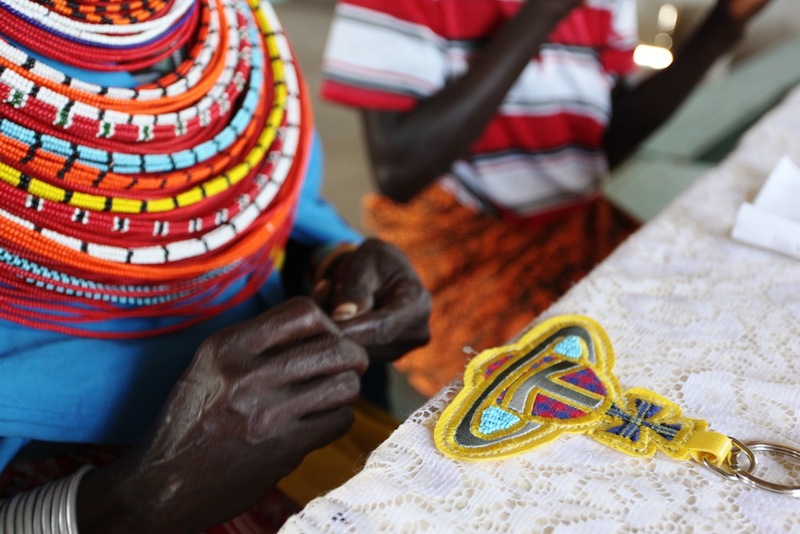 SEW (Supporting and Empowering Women) in Kenya somewhere in Bissil, Namanga is a not-for-profit social enterprise for HIV positive women. The organization employs eight “sewing mamas” and pays a fair wage, employer matched pension contributions and 80% of medical expenses. A stable income means the women have access to healthcare, money to feed and school their children, and importantly, self-esteem. Using mostly recycled fabric and grain sacks, the women make bags, purses and wallets, which are sold in retail outlets in Kenya, Tanzania and Australia. Wholesale exports have been distributed through Zanzibar, South Africa, the US, the UK and Italy. All profit is reinvested back into the project and used to acquire new equipment, hire sewing teachers and upgrade the working space. Recently, SEW began working with other brands, such as Australian designer Zoe Elizabeth to produce ethically manufactured capsule collections. In Namanga, and right across the border in Tanzania, there are many other fashion social enterprises that recognize the importance of stable and secure work. 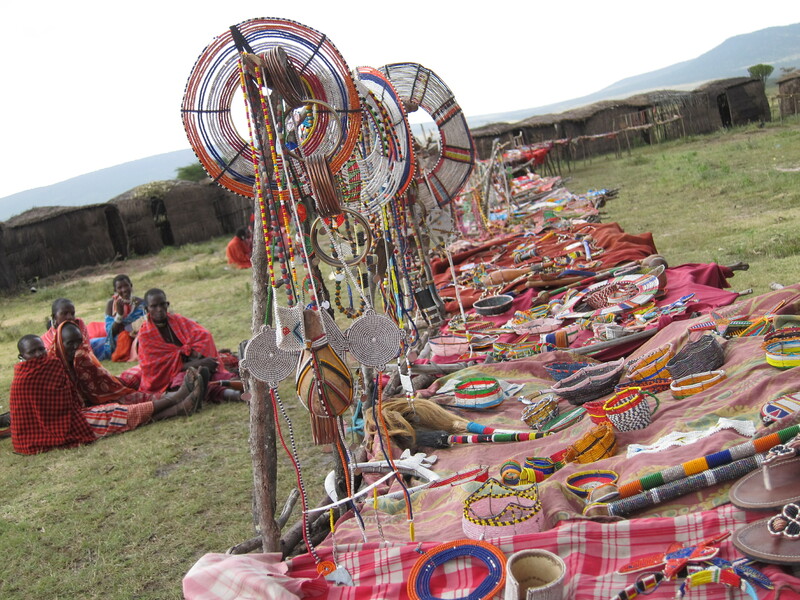 Sidai Designs works with Maasai women, utilizing their traditional beading skills to create contemporary high-end jewellery pieces. 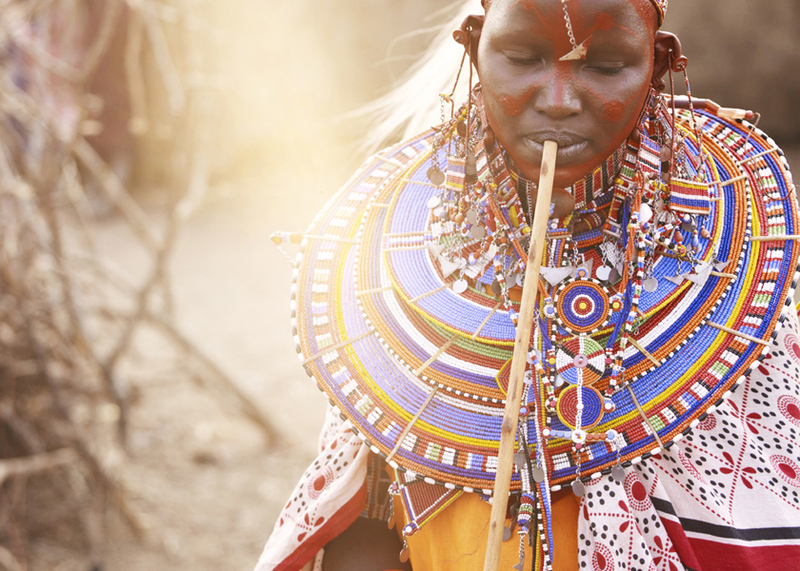 Women in patriarchal Maasai communities are some of the most disadvantaged. They have no right to own property or livestock have limited access to education and are often forced to marry at a very young age. As a largely nomadic population, they also face difficulties accessing basic healthcare. 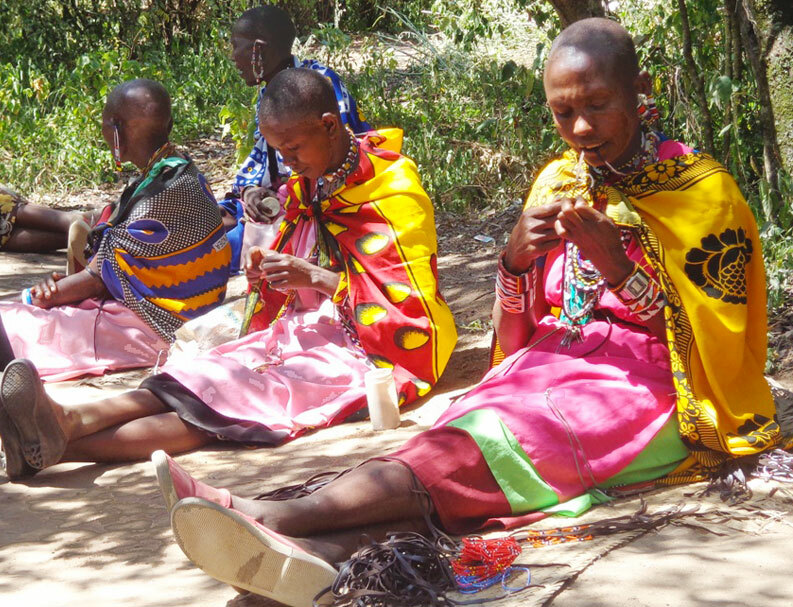 Selling their designs through several retailers in the UK, US and Australia, Sidai aims to create sustainable employment among Maasai women and help them achieve financial independence while retaining traditional craft skills. 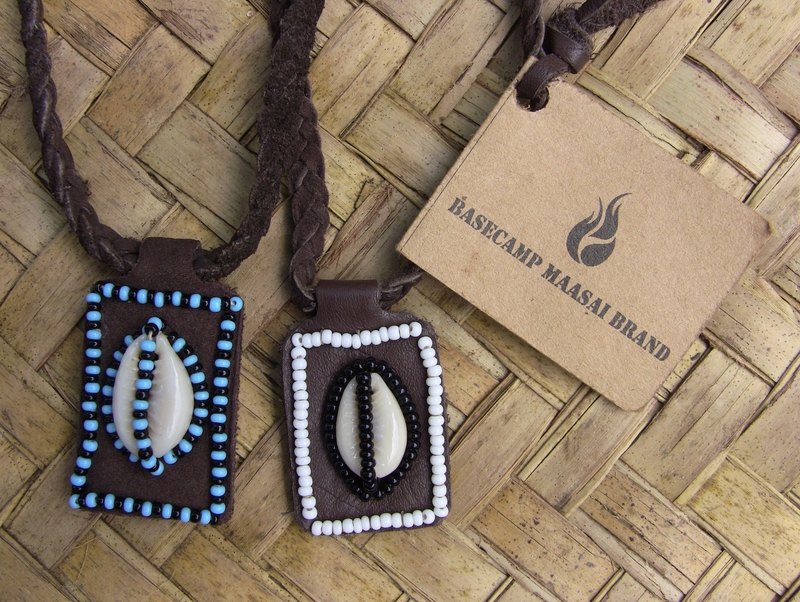 Their products are created by hand using old grain bags to create the thread, old plastic boxes to create the boning and Ethiopian recycled aluminum for the clasp beads. These artisan projects can only survive if they have strong sales, led by consumers engaging with ethical fashion. 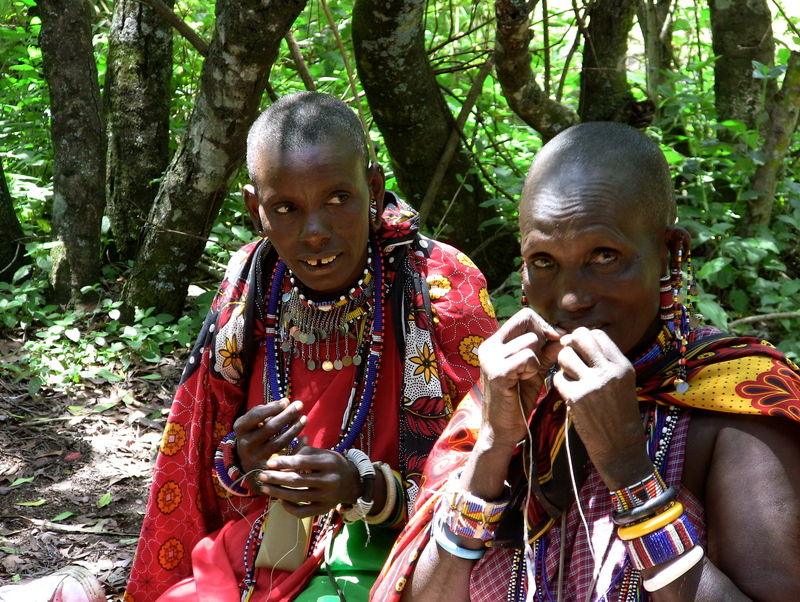 An example of this is SOKO, a self-sustaining manufacturing business based in a wildlife sanctuary in rural Kenya. The social enterprise offers training and employment to women in an area with the highest unemployment rate in the country, and a high rate of prostitution, HIV and AIDS and wildlife poaching. Despite its isolation, a strong social message and marketing campaign has captured the popular imagination, featuring in Vogue, Grazia and Elle, and producing garments worn by Michelle Obama and Elle McPherson. While major fashion retailers obscure the reality of garment manufacturing with glamorous marketing campaigns, customers are left with little idea as to where, how and by who their clothes and accessories are made. Social enterprises such as SEW, Sidai and SOKO put the emphasis back on the producer and attempt to create transparency within the supply chain, as well as empowering local artisans and introducing indigenous techniques, fabrications and styles to the west. Christian Louboutin beaded shoe & Ulona 140 platform sandals – both inspired by Kenyan Maasai designs. Ethical brands must challenge long held preconceptions of sustainable fashion as hemp smocks and fisherman’s pants. With smart product development and innovative uses of recycled and local materials, ethical fashion manufacturers can create products that consumers want to buy because of its style and quality, and not just the story behind it. Similarly, established fashion houses should look beyond the attractive margins provided by Bangladesh and China to the potential of utilizing artisans in developing nations. The Ethical Fashion Initiative, a project from the International Trade Centre, is set up to assist this, linking high end fashion designers like Vivienne Westwood, Karen Walker, Marni and Stella McCartney with marginalized artisans in Haiti and a number of African countries. Other brands are following suit – Kate Spade recently produced a line of bags and accessories with a women’s group in Rwanda. Collaborating with major fashion players provides significant financial investment and teaches artisans what is required to manufacture on a global scale while helping the development of a local manufacturing industry. With responsible investment and smart product design, both major fashion players and smaller artisan groups can work together to empower vulnerable women in developing nations.